it was nice to stay there. If your are looking for not so expensive place to stay, but with good location, this is the right place to be. The staff were always helpful and friendly. And the balcony view was the best! We stayed at room for 4 people. It was spacious, clean and cosy (only problem was the wi-fi connection- very slow). The staff is welcoming, answered all our questions. They also said there is an option for free luggage storage after we check-out (we didn't use it as we had to leave earlier). The hotel is 10 minutes from Central Railway station, 5 minutes from Lima metrostation that can take you to the centre (40 minutes on foot). Nothing special about the room itself but it was kept clean and had a private bathroom. The location is a 15 min walk from the Central train station and a short walk from a Metro stop which made it really easy to get around! The best part of this place was the staff. They were very friendly and accommodating. My friends flight was delayed and he stayed up late just for her to make sure she got in safely. We stayed only one night but this place was great for the a quick stay! 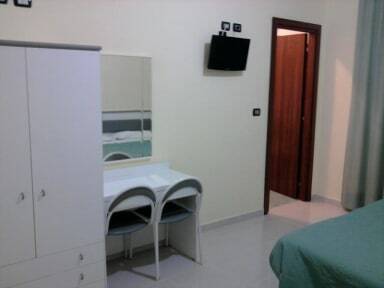 Has a good location, only 10 minute walk from Milano Centrale and 20 minutes from the cathedral. However we had no air conditioning and got no sleep since it was so hot and humid. The guy who checked us in also got our room wrong 3 times and had to take our key every time we left the building which we found very annoying. 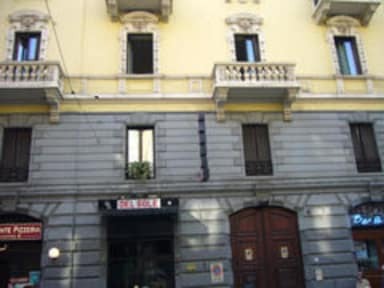 Isnt the best value for money but if youre looking for the cheapest place in milan for a night this will do. Wouldn't stay here more than one night.